If you were curious to check out my previous "Decades" lists and other stuff as well, this link will take you there. Here are my ten favorites released between the years 2000 and 2009. 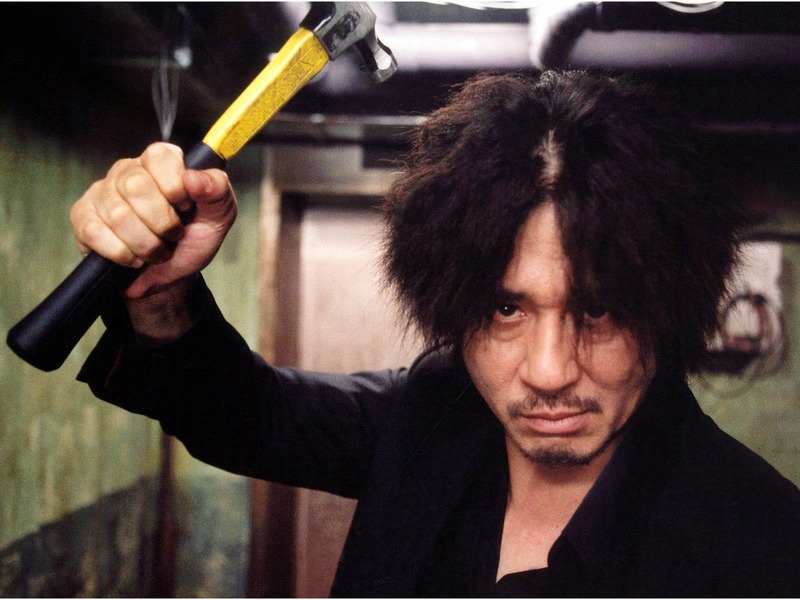 Gosh, if you haven't seen Oldboy, you should, but let me follow that up with a disclaimer: if the content or the direction the narrative takes proves to be disturbing, please don't come back and blame me. I'm sure this Korean revenge thriller would be too much for some, but it's just right for me. Also, please, don't watch the recently released Spike Lee U.S. remake before seeing the original. Start with the masterpiece, then decide if you want to compare the two. 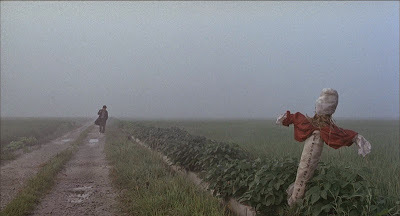 Let's just stay in South Korea with the incredible based on a true story crime-drama Memories of Murder. This one tells the story of the first ever documented serial killer in the history of the nation, and it is an atmospheric, chilling and flat out great film. 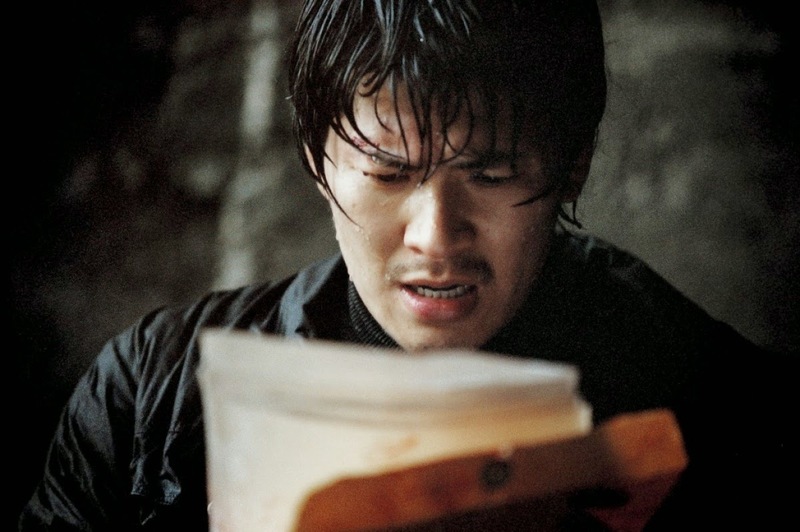 Have a South Korean movie night and watch the first two on this list back to back. From back to back South Korean films to now back to back tales based on truth involving serial killers, notice a theme thus far to my favorite films from this decade? Yes, I like my dark and ominous thrillers. 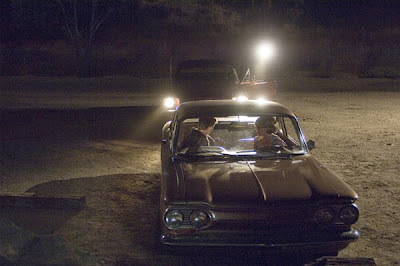 They just tend to work for me, especially when they are as brilliant as David Fincher's Zodiac. We stay in the darkness but with a bit more of a fun flair, moving into the superhero sub-genre with The Dark Knight, although really this is just an epic crime drama masked as a comic book movie. Without a doubt the masterpiece of the Nolan Batman trilogy featuring that already pretty iconic performance from the late Heath Ledger. I recall when The Dark Knight was first released there was a lot of "greatest movie of all time" talk associated with it. Unfortunately I can't go that far, but it certainly is one of the finest achievements of its decade. 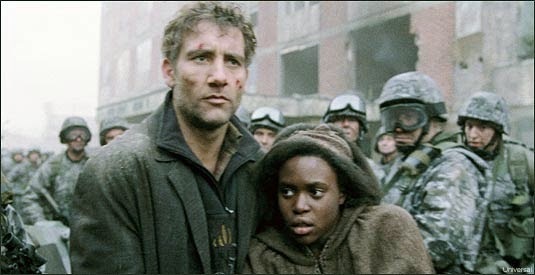 7 years before he won the Oscar for Best Director for his work on Gravity, Alfonso Cuaron gave the world Children of Men and it is a science fiction thriller that works in every possible way. Written, directed and performed with perfection and that glorious photography from Emmanuel "Chivo" Lubezki, this is a movie that literally, and let me stress that word because when I use it, I use it correctly, LITERALLY gave my wife a panic attack as she watched a battle sequence. This is the moment where people think, oh okay, so three of the top five will be the Lord of the Rings trilogy. No, you may be surprised when one, probably considered the greatest installment by the majority is actually left off the list. The Fellowship of the Ring, however, is a totally worthy epic fantasy adventure, and the trilogy as a whole I revisit every single year when fall rolls around and the weather outside gets brisk. It just feels right. The attention to detail from Hayao Miyazaki in Spirited Away is breathtaking, arguably not only the defining masterpiece from Studio Ghibli but also in the history of animated cinema. 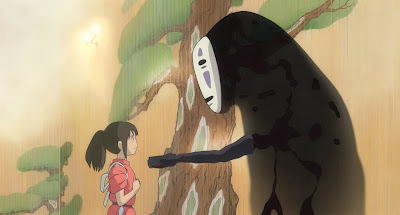 Magical, mystical, haunting and beautiful, You might see this and think, but I can't watch animated movies anymore. I'm an adult. Nonsense. The craft of a Miyazaki should be admired by people of all ages. Surely you saw this one coming, right? I named my blog after it! A flawless film with a perfect conclusion, an ending that angered some but for me it was sublime. 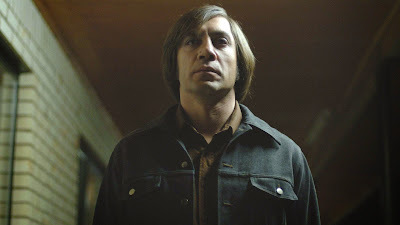 No Country for Old Men is a Best Picture winner that was worthy of the award. What a glorious example of perfect blockbuster filmmaking. The Lord of the Rings: The Two Towers has always been and will continue to be my favorite installment in the trilogy, a perfectly paced marvel that feels so damn epic, it's more like an event than a movie. The Battle of Helm's Deep is my favorite sequence in the entire saga, which helps elevate this one to the top. The second time Quentin Tarantino has held the top spot of a decade for me, and Inglourious Basterds happens to me my second favorite of his work behind only Pulp Fiction. The ultimate revenge story, a grand what if tale involving Nazi's and a woman avenging the brutal deaths of her family members. It's clever, it's funny, it's made with astonishing confidence and as usual it has a screenplay that you could close your eyes and just listen to and still love the experience. A few specific scenes, like one that takes place at a basement bar, are so perfectly executed and so deliciously Tarantino. No one else on the planet could make a scene like that work so damn well. Next list will be the last, my ten favorite films released between 2010 and now. Might sound like a small, watered down sample size, but trust me...this decade has been pretty incredible, including my favorite film of all time. Oh my I know Nathan. Sometimes I laugh so loud at the way people use the word. A guy on sports radio was trying to describe how small an arena was once so he said "the fans are literally on top of the players."